The sourcing and recruitment community continues to see an overwhelming influx of new technologies, techniques, and theories on how to attract and retain top talent. With unemployment at an all-time low, competition for purple squirrels, unicorns, and other elusive forest figures is fierce. 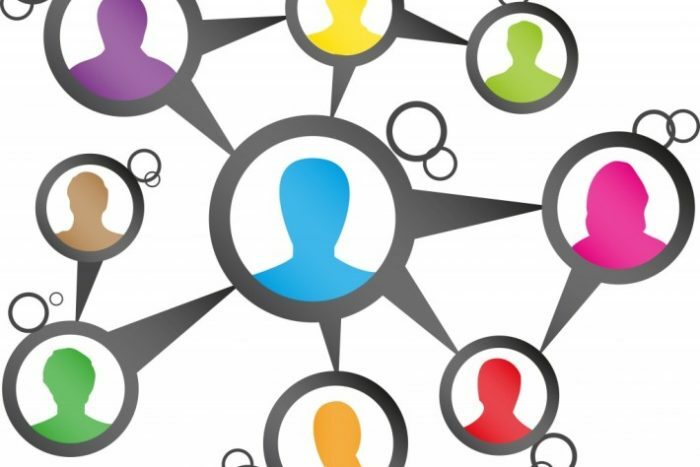 As predictive analytics and AI make way for innovative ways to connect with passive candidates, we can’t forget about one of the most effective ways to source talent: employee referrals. We know the why behind implementing and utilizing an employee referral program (better quality, increased retention, speedier hire, to name a few), but how about the what? What steps can we take to make sure that our employee referral program is more than just an HR policy? What can we do to keep referrals top of mind for our colleagues? Unless you overhauled your policy in the last 12 months, there is a good chance that it can stand for a bit of a refresh. Older policies may not reward employees for simply passing a name along, or funneling introductions from LinkedIn. Increased competition in a tight labor market should provide some sort of bonus for ALL activities that result in a placement. Some teams even provide a small incentive for candidates that make it to a 1st round interview. Decide what makes sense for your organization and employee population, and document the results. Once your policy is updated and ready to go, don’t bury it in your employee handbook – share it! Your message should build excitement and incite action. Include information about how to reach out to referrals – you can even provide a sample prompt to make things super easy for your employees. Introduce your employee referral policy during new hire orientation – your newest employees may know a few former colleagues who are also ready for something new. Newbie excitement level is at an all-time high, which is an excellent opportunity for them to reach out to their network about potential opportunities. Somewhere in between daily standups and evening ping pong games, it’s not very likely that current employees peruse your careers page with any frequency. Employees need reminders that they can help with (and profit from) sending referrals to the talent team. For smaller companies, send a snappy email each time a vacancy opens. Larger orgs may need to group recent vacancies into one bi-weekly email to keep open rates high. In addition to word of mouth, encourage your colleagues to share work-related posts and photos on their social media feeds. These updates are less about announcing a specific job, and more about providing a glimpse into your organization and what it’s like to work there. Encourage employees to share pics of their team lunch or happy hour. Ask them to promote exciting company news to their network. This amplifies your branding efforts and allows an extended network to understand a day in the life of your employees better. While these info-consumers may not be in the market for something new right now, they’ll likely be more receptive to a sourcing call once they know how cool it is to be part of your team. Once you secure and onboard your employee referral, it’s time to spread the good news. Integrate this announcement into your regular updates, whether that’s via town hall meeting, employee newsletter, or Slack channel. Use this opportunity also to give examples of who makes a great referral, and offer ideas on ways to celebrate successful referral hires. Instead of saying “Congratulations Alex, on your recent referral bonus,” try “Alex referred our new Product Manager, Jamie, to us after working together for several years. Don’t be surprised if you see her swapping her morning train ride for a black car a few times this month.” Choose a message that will resonate with your employees and switch it up so that it’s always timely and relevant. As our industry gets continually data-driven, don’t forget to track and include employee referral stats in your metrics. Successful employee referrals drive downtime to fill and cost to fill, while likely increasing quality of hire. Viewed as an aggregate, this has a significant impact on your overall recruiting strategy. You can take this metric one step further and also track source of employee referral. For example, are employees from your tech team more likely to introduce a former colleague or classmate? Are marketing employees meeting people at trade shows and keeping in touch, or is it more likely that they introduce folks from their networks. Noting these sources will help craft your strategy and messaging for the future. With any successful strategy, you must iterate over time. See what works best for your team, and focus efforts there. Kristy has over 10 years of TA experience and is the CEO of Talent-Savvy. She consults with growing companies to help them achieve their recruitment and retention goals through implementing innovative talent attraction and employment branding strategies. She coaches executives, corporate recruiters, and HR managers on the nuances of recruitment in order to set them on a path to crush their goals and scale efficiently. Connect with Kristy on LinkedIn and Twitter.